arranged and performed by Catherine Lamb and Johnny Chang. What can you tell me about the Viola Torros project? 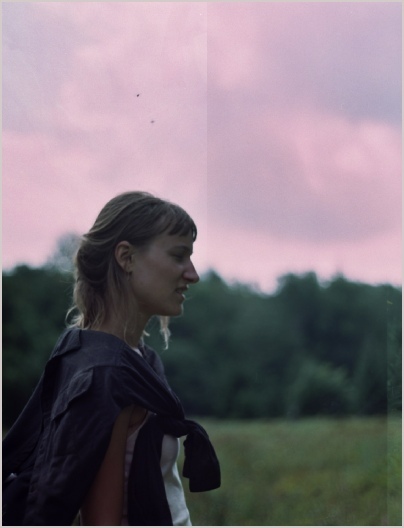 Cat Lamb: The summer I arrived in Berlin, I began meeting with Johnny around music-related things and he started mentioning a composer he was learning about (or around? ), named Viola Torros. I didn’t quite understand who she was until we started to talk about her and the music she must have been making, and what her life could have been like. We started to look for her fragments and place them together, discussing what they could be indicating. It soon became clear that we weren’t entirely certain of her origin, or even of her exact period of existence, or where she might have been, or what she would have been influenced by. I think we both started to realise that there were a lot of unknowns about her. We knew she existed, this wasn’t the question for us, but how all of these fragments we were finding made logic together became our work, and pointed to certain ideas we both have found important. Since then I think we’ve been questioning a lot of elemental aspects of classical music, in our search to find the nodal points of her musical explorations. Obviously we approach the research with our own filters or understandings but I believe we’ve been finding little openings into some other perceptions that could have been hers. Part of the work is that it’s important to imagine a different reality in the process. When we first began to sound the fragments, we were looking at her various melodic materials and seeing how they seemed to always coexist with other elements that seemed contrary to those materials. So I remember we were sounding a tone together at the beginning, trying to find where the articulations of that tone suggested a melody. For instance, a geographical area through which Viola T. may have travelled is determined, from which relevant musical materials are extracted and referenced. From this point of departure, plausible creative outputs of v.t. could be deduced, which then are further acted upon or actualised. Thanks. The Viola Torros fragments feature on disc one of your album, but let’s move on to disc two, which contains a composition by each of you. Johnny, the recorded realisation of Citaric Melodies III is for octet, which is a larger ensemble than usual for your compositions. Were you trying out something different in this piece? And what does the title refer to? 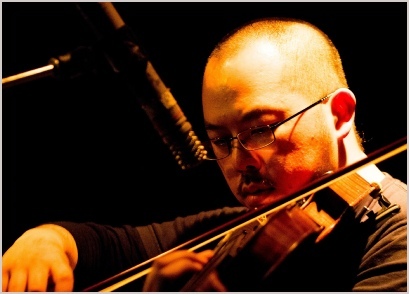 Johnny Chang: In February 2018, I visited Tokyo for two concerts with the Suidobashi Chamber Ensemble. On this occasion, there was also the chance to perform with Sam Dunscombe and Michiko Ogawa, both of whom I had met in Berlin for the premiere of a Taku Sugimoto quintet. Citaric Melodies III was arranged to include all these musicians. My compositions are generally conceived as a starting point from which to proceed. The specific circumstances of their realisations help determine details such as duration or instrumentation. For instance, Citaric Melodies II (the Berlin version) included harmona (an East German electric organ), acoustic and electric guitars and cello. Citaric Melodies I was the original Amsterdam version with organ, piano, electric guitar, bass harmonica, bass clarinet and double bass. The Amsterdam version was also the only performance where it was possible to realise the concept of musician groupings, or citara. In performance, the citaras are spatially displaced from each other and function as autonomous units following their own line of interpretations, as in some traditional Arabic music. “Arabic music reached its culmination during the reign of Harun al-Rashid and his immediate successors, for the Abbasids, after establishing their rule over all Mesopotamia, were intensely influenced by Persian culture, and imitated even the palace arrangements of the Sassanids. In the time of the Emperor Ardashir there were among the palace employees various classes of players and singers, inferior in rank to the political functionaries, who would now be called the musicians of the royal chapel. In addition to their ordinary compensation, these musicians received extra remuneration when they succeeded in vividly stirring the emotions of their emperors. So roughly how much is specified in the score and what is left open for the performers? Johnny Chang: This is an interesting question, which I will attempt to answer in two parts. … in the case of Citaric Melodies, the musicians are given some guiding principles, which are specifically concerned with individual flexibility. The guidelines are less limitations but rather an invitation to consider (and reconsider) one’s decision-making with regards to melody-making, as well as interactive listening/responsive playing between the performers. This question arose directly out of discussions with Cat on Viola T.’s intentions (or attitude?) towards composing melodies. During this process, many more questions surfaced - out of which we made certain assumptions (see my answers to question 1 above), and we proceeded as was relevant to the arrangements we were working on.  What constitutes a melody?  What are the minimal pitch (or rhythmic) requirements for a melody in order for it to surface, and be perceived as such, “melody”? Or are any requirements at all necessary? In this manner, the guidelines I decided upon for Citaric Melodies aim to recreate in each performance a specific emergence of melodic shapes and and phrasings. Cat, Prisma Interius VI is part of a major series of compositions that I think now runs to at least eight works. Are the pieces ideally heard together as part of a series, or do they stand on their own? And what does the series title refer to? Cat Lamb: I believe I have now completed the series at nine. Each piece should stand on its own. They are in the same series because there are a few elements I’ve been trying to figure out, that seemed to consistently stream and evolve through the nine pieces, so they are indeed related in some ways. 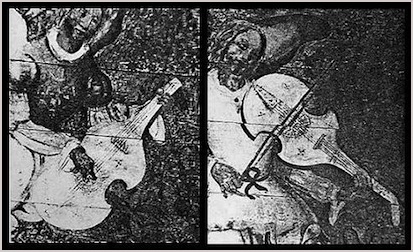 Some of the important elements are in fact major questions that have arisen while researching the Viola Torros fragments. For instance, where is the blur between melodic and harmonic components? Can melody be harmonic and harmony melodic? What if monody was actually emerging from total polyphony? What are the basic requirements for contrapuntal perceptions, and how might these counterpoints form a total shape together that is moving through dimensionalities? The other element is finding the instrumental bridging roles in each piece, where musicians have a part in which a sympathetic transparency is created, through timbral or otherwise phenomenological attentions, so that one might hear through one material into another, then into the greater atmosphere around the sounding shapes being formed in the structure. Some of the parts have been considered as “highlighting” or “shadowing” parts, but the obvious, consistent one in the series is the role of the person playing the secondary rainbow synthesizer. This is an instrument I’ve been collaborating on with Bryan Eubanks since 2014, which applies live resonant band pass filters to whatever is being picked up from microphones placed near to the listening space. Ideally one could listen through the material into an infinite space, through to the surrounding environment, and find a means to connect it all together into one total form, which is the impetus for the title, a description in ideal terms. So in Prisma Interius VI, Johnny’s part is a clear soloistic line played on the viola, which is being infused with/bridged with/highlighted by the synthesizer. Later in the piece the synthesizer role is replaced by the added strings, which are attempting to achieve a similar effect. The sounds from outside the performance space in the recording are very striking. How does this work exactly? Cat Lamb: The synthesizer sound is generated by the microphones and filters. Ideally the microphones are situated in the same (or a neighbouring) environment to that in which the microphones are listening, so that wherever the musical material is occurring, the microphone is listening directly outside at the same time. Depending on the particular space and situation where the performance is taking place, this concept has sometimes been challenged. For instance, in very isolated spaces, or spaces submerged inside buildings that are quite separate from the outside world, there have been occasions when I have had to utilise relative recordings for the synthesizer instead. But I think it’s important that there is still some correlation to the listening space. So, for instance, the recording should be made near to the performance space, or at a similar time, or within a listener’s memory, somehow. Finding the surrounding atmosphere. My question with the outside sound is how to examine our limits in regards to filtered listening, or how far can we filter our surroundings and find an infinite thread. So that if one hears an airplane in the air, this curvature then slices directly, at the same time, into the synthesizer’s sounding. In this way whatever the microphone is listening to becomes filtered directly into the material of the musical piece, fitting spectrally into, in this case, what Johnny is doing. In each of the pieces in the series instruments are being examined in relation to the synthesizer, but I think it’s also interesting to imagine each of these pieces standing on its own, with the synthesizer removed. 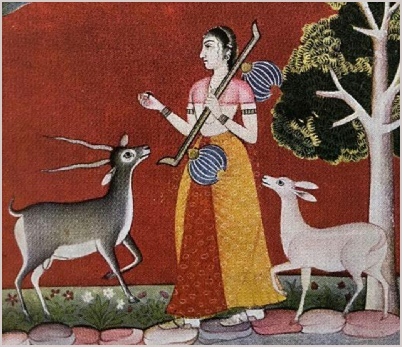 Without tanpura, without continuo. So for the structure of Prisma Interius VI (for v.t.) I have the same viola line repeated three times. First in unison with the synthesizer, then as the synth colouring within its timbre and extending its residue, and then taken away (and replaced with two other strings). When the synth is removed I somehow still notice its presence. Then of course we are left with the fact that this is a recording of another space and time, so whatever the microphones were listening to at that moment, in Berlin Mitte Autumn, is most likely very different from what a listener is experiencing with this CD. So then it becomes even more defined, that this is a document of one performance, one realization, at one particular moment in time. The full title of the piece includes in parenthesis ‘for v.t.’, which I assume is Viola Torros. 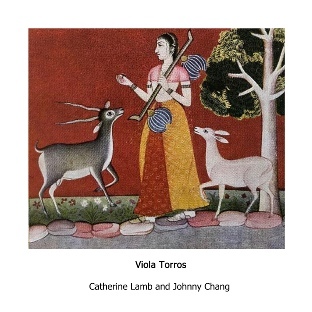 Apart from its instrumentation, does the piece have a specific connection to the Viola Torros Project? Cat Lamb: Yes, the piece includes some melodic and modal components/directives that are taken from Viola Torros fragments, specifically the ones we were working on in Dusseldorf during the time of Augementations II, but which also seem to appear in Augmentations III.